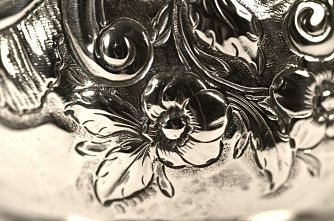 convex to the lower body with repousse floral and scroll decoration on a round spreading pedestal foot and a scroll handle with leaf thumb piece. The decoration around the mug has probably been added at a later date. There is slight distortion to the base, around which "Captain EJ Pryse from GG&J Williams" is inscribed. 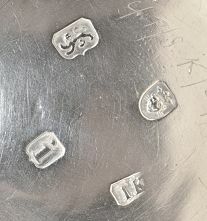 The cartouche is blank. 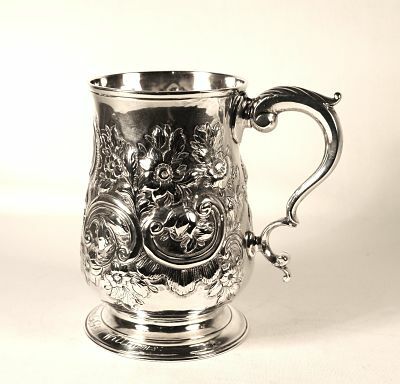 This is a beautiful piece of antique silver.